OK, so first up, I flat up lied; it’s only 480TB. But that’s how storage marketing goes, right? Here’s one on eBay, with 60x 4TB disks for a mere $38,999. I also learned in the past week about shingled magnetic recording, a new technology for spinning magnetic disks that allows much greater density, at the cost of some stranger semantics on how data is written. It’s how Seagate already has an 8TB drive on the market, at an oddly low price. I’ve also been playing around with ZFS (on Linux) lately. I’m building a file server with 3x 6TB drives (RAIDz1, akin to RAID 5), and 2x 512GB SSDs for cache/ZIL. I have a lot of kinks to work out still, but the idea is that ‘popular’ content will get auto-cached on the SSDs, backed by magnetic storage. A modest bit of SSD space is set aside for ZIL, where writes forcing a sync can be written to SSD and then later written to spinning disks. I suspect that the “SSD as cache in front of slower magnetic storage” paradigm will grow in popularity until SSDs become cheap enough that magnetic storage is entirely obsolete. Things like shingled drives would seem to make that even more important. I feel like this would be a really exciting combination to play around with, if only I had the money and the need for almost a half-petabyte of storage. I’ve long known that you can use IPMI (on compatible systems) for some nice lights-out management, like power control or reading system information that you’d see in the BIOS. But one thing that has always annoyed me is having to get a remote console on the box and wait for just the right second to press the right key to bring up the screen where I can change boot order. It appears that this will override settings on the next boot, but not make a persistent change. (You can, however, set the ‘persistent’ option.) Using bootdev none options=help lists out the available options, some of which are pretty interesting. 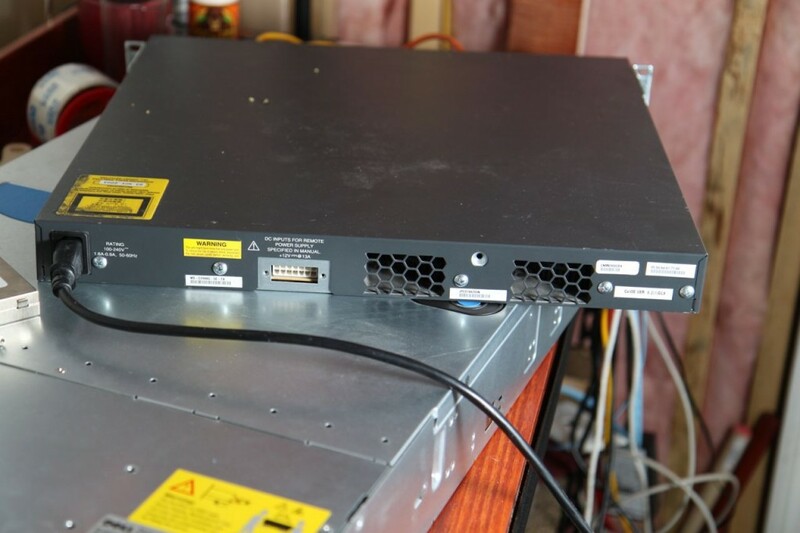 I picked up a Cisco WS-C2948G-GE-TX switch on eBay a while back. I’m about a decade late to the party in reviewing one (mine’s dated November 3, 2003! ), but they’re showing up in quantity on eBay for short money, so I thought a modern look at the thing might be helpful. 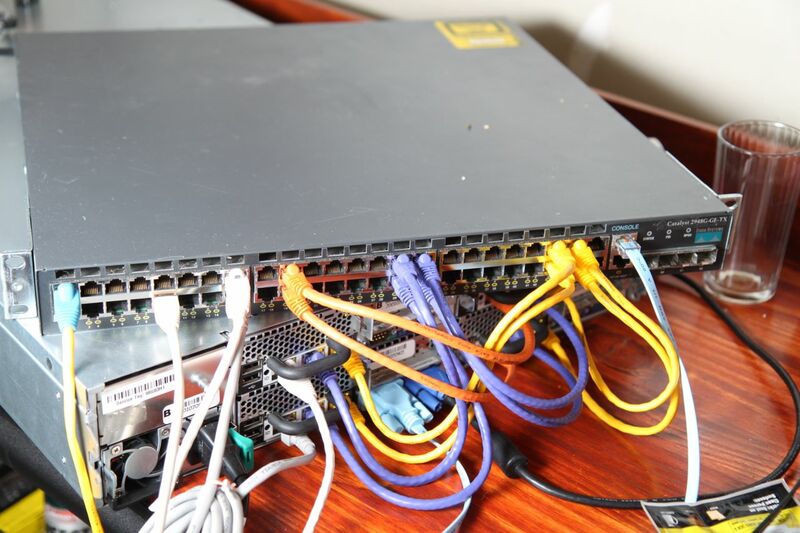 Of course, a 48-port Gigabit managed Cisco for $100 seems must have some catch. Read on! Appears to support SSH v1.0 only? If you’re looking for a switch for a serious production environment, this isn’t for you. (But why are you even looking at sub-$100 switches on eBay if that’s the case?!) But for certain cases, this is seemingly the perfect switch. I’m building out a small home lab. I want Gigabit ports (and more than a few of them) but I’m not actually moving a ton of traffic through the switch, so the fact that the switch couldn’t support all 48 ports actually pushing 1Gbps simultaneously is of no concern to me. The CatOS bit isn’t great, but I’m not trying to go for my CCIE where I need all the latest features IOS brings, or running this in a production environment where having the latest security patches is critical. (Not that security is ever unimportant, but it’s on a private LAN in my basement so I’m not going to lose sleep if it’s got known vulnerabilities.) Realistically the only “managed” feature I have used is setting up a second VLAN for a few ports. States and local country laws governing import, export, transfer and use. Copyright (c) 1995-2006 by Cisco Systems, Inc. Note that I haven’t tried anything fancy. In theory it supports stuff like CDP, tagged VLANs, 802.1x, LACP, RADIUS, port mirroring, SNMP monitoring, STP, and so on, but I haven’t set any of that up, and frankly wouldn’t know how. All in all, if you’re looking for a cheap Gigabit switch with some basic management features and don’t mind it running old software and having a heavily-oversubscribed backplane, I’ve found this switch to be a steal.